What’s sad about that is the lack of faith in the movie business. It’s not entirely unearned—Hollywood does grind out an awful lot of crap, as Jack Black observed during the opening song at this year’s Oscar show. But of the 25 or so movies that were up for the major awards of the nights, there were very few that even the grumpiest of observers would tell you weren’t worth seeing, whatever their faults. They may not have covered everything that was good in the movie business last year, but if they gave an award to something you’ve never heard of or just didn’t see, it’s valid advice to check it out. Anyway, my thoughts on the Oscarcast, observed this year under less then optimal circumstances (at a party where the people who weren’t interested in the proceedings outnumbered the people who did, and loudly so). Hosting the Oscars is like being President of the United States: you have to wonder why anyone wants to take a job for which so many people are eager to hate you. Oscars hosts may have it even harder because they’re stuck with writers whose batting average is dismal. Neil Patrick Harris, I thought, did a swell job, and if he sometimes had to work with creaky one-liners, he did so like a pro. In the first of very many wholly unsurprising awards, J. K. Simmons accepted his Oscar for Best Supporting Actor (in Whiplash, which you should all go see) by thanking absolutely no one outside of his immediate family. If anyone was expecting this to be a trend, they were sadly disappointed. I wonder how long the Harvey Weinstein joke had been laying around. The “Team Oscar” bit is situated at the perfect time in the broadcast for your first bathroom break. It’s nice of the Academy to help support student filmmakers. But we don’t really need to see them lined up during the show. Some things that were not seen: presenters who were here to publicize their new movie opening this week or the next; comedians doing “bits” (were Ben Stiller and Will Farrell unavailable?). 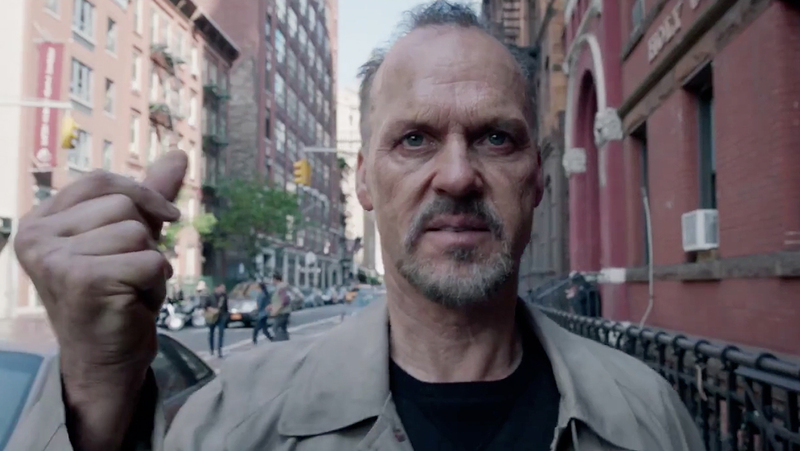 More people did not see Birdman than did. Which means that an awful lot of people had no idea why Harris was standing onstage at one point in his underwear. Jack Black’s opening bit decrying Hollywood’s endless superhero movies predicted that the evening’s big winner would be Birdman, a film whose subtheme is that appearing in superhero movies is no way for a self-respecting actor to make a living. I’m sure whoever it was they hire to draw the portraits of the beloved deceased in the Memorium segment was happy to get work during his down season from doing caricatures at county fairs. Lots of speeches that will drive the right wing radio hosts nutzoid for the rest of the month.